Have you ever wondered why people need to use a curtain on every window in their home? Well, curtains are basically pieces of cloths which are meant to block light from the outside. While this is their main purpose, there are also other benefits which come along with the installation of curtains for your home. Not all curtains are the same; they are made from different materials and may also be designed to take certain shapes. Their colors, patterns and sizes also vary a lot. These factors are what led to the availability of different types of curtains such as the day curtain and also the night curtain. Windows play a great part each day as they ensure that there is a way to allow fresh air and also light into a room, however there comes a time when you do not need any of them. Some people have to work at night and rest during the day, and also at times people need to watch a film without the reflection of a window on the screen. This is where the day curtain plays a huge role. These types of curtains are created from dark and heavy material which ensures that no light will be able to penetrate through it. Therefore when you drop the curtains during the day, the room will look like its already dark. Some curtains have the ability to absorb noise. Though it does not absorb it completely, it helps reduce it by a certain percentage. This ensures that a person rests comfortably during the day. A day curtain also enhances the beauty of a home. Having curtains make a room look sophisticated especially if you choose the ones with unique patterns. A night curtain on the other hand also has it benefits. Sometimes, the moonlight may be too bright and this makes it impossible to go to sleep. These curtains are made in such a way that no light can go through them. Without the proper curtains, people may see inside your home with little effort. This is possible because at night, it's dark outside and we light our rooms. However, with the help of a night curtain, you can have your privacy because the curtains block the light and hence the people outside will not be able to see anything. These curtains are made from heavy materials which make it impossible for nosy people to peep inside. 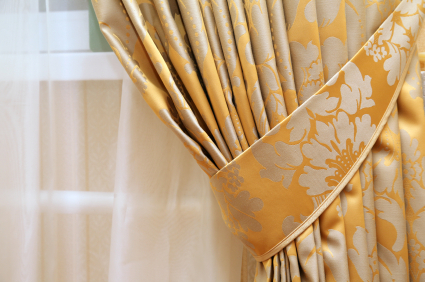 A curtain is a must have for any home as it ensures privacy as well as comfort for the home dwellers. By having the right curtains for day and night, you will be able to enjoy being in your home as nothing will be disturbing you. You will no longer worry about the curious passersby or even the noisy neighbors you have. If you are lucky enough, your curtains may help prevent the cold breeze which tends to make way inside a room when it is cold outside. Everything will be peaceful at all times. Therefore, go and purchase your curtains today so that you start enjoying the benefits immediately.